T3234MSC-B3X - 32" touch monitor with 30 touch points! 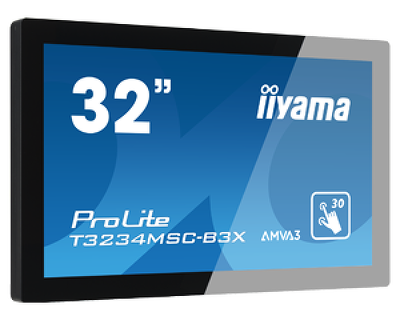 iiyama International, the leading manufacturer of desktops, large format displays and touch screens, proudly presents the ProLite T3234MSC-B3X, a 32 inch Projective Capacitive touch screen monitor with 30 point touch support. ProLite T3234MSC-B3X is a successor of the popular ProLite T3234MSC-B2X. This 32 inch, features the AMVA3 LED panel technology, which guarantees exceptional color accuracy, high brightness and superior viewing angles. The advanced Projective Capacitive multi-touch technology allows 30 simultaneous touch events at the same time, ensuring the users to enjoy the full richness of the interactive touch experience. An eye catching ‘zero bezel’ design offers a robust edge-to-edge glass front. The screen comes with 7H scratch resistant glass which is tough enough to withstand demanding applications, making this product very suitable for use in public environment. 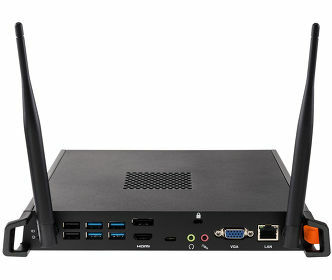 The ProLite T3234MSC-B3X is therefore an excellent solution for Interactive Digital Signage, Instore Retail, Kiosks, Gaming and Interactive Presentations, and one of the best commercial touch display investments. 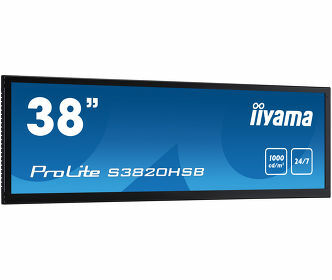 The ProLite T3234MSC-B3X will be launched across Europe by iiyama on 5 May. Based in Japan, iiyama is a leading international monitor manufacturer. The company was founded in 1973. For more than 20 years now, iiyama offers a great range of monitors suitable for households and professionals. Its success has been achieved by the consistent evolution of high quality product at accessible prices. Utilizing the most up to date technology has become an essential element of the manufacturing process and focus for consolidated purchasing. iiyama International’s European headquarter is based The Netherlands.